Locate the expressway running north from Kofu (Kofu is north of Mount Fuji) towards Nagano, on some maps called the Chino Expy. Exit east near N35.93592, E138.21168, and go east on Hwy. 425. This road continues straight, a bit north of east and eventually hits road 484 going north. Take this road, it will naturally lead to the lower parking area at location N35.98159, E138.30070, elevation about 1500 meter. To park here cost 500 yen for the day. You may decide to drive on, exit to the left on a smaller road that descends to cross a small river, then ascends to reach the upper parking area at location N35.98220, E138.32440, elevation about 1695 meter. The road is perfectly fine for normal cars (only slightly rough in a few spots). 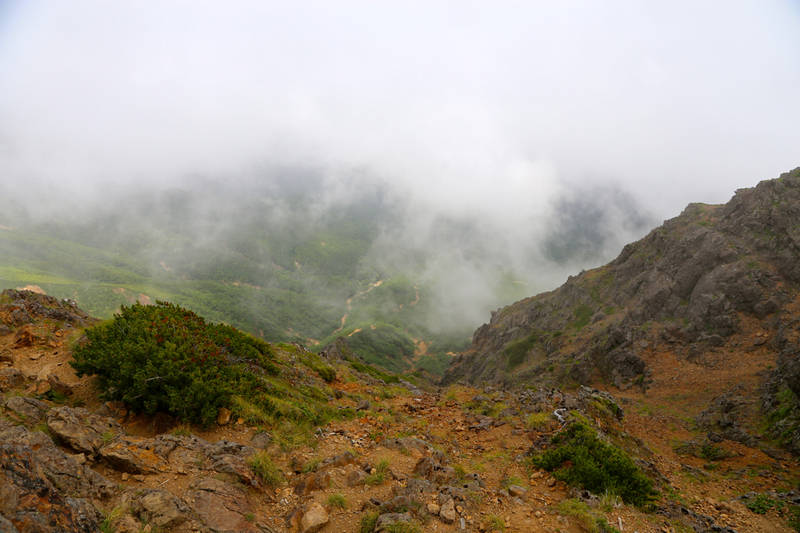 You have gained about 200 vertical meter and about 2 kilometer. This parking is 1000 yen for the day. If parked at the lower parking, follow the road to the upper parking. From the trailhead at the upper parking, the trail first makes a short left curve, then arrives at a trail fork. Go right here and continue along the small river. 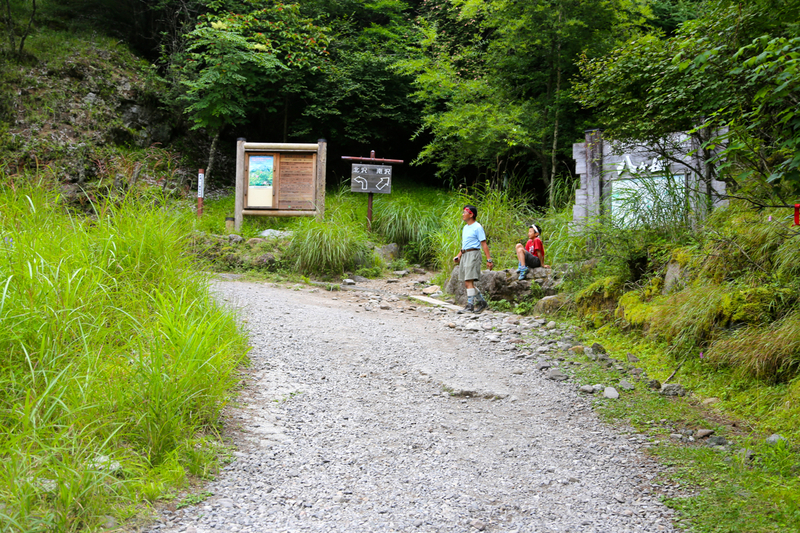 This trail ascends through woods and gets you directly into the basin below Aka-dake where there is a large hut. This location is at N35.97881, E138.36447, elevation about 2360 meter. From here, take the trail that starts out to your right, then go left at the next signed trailfork. 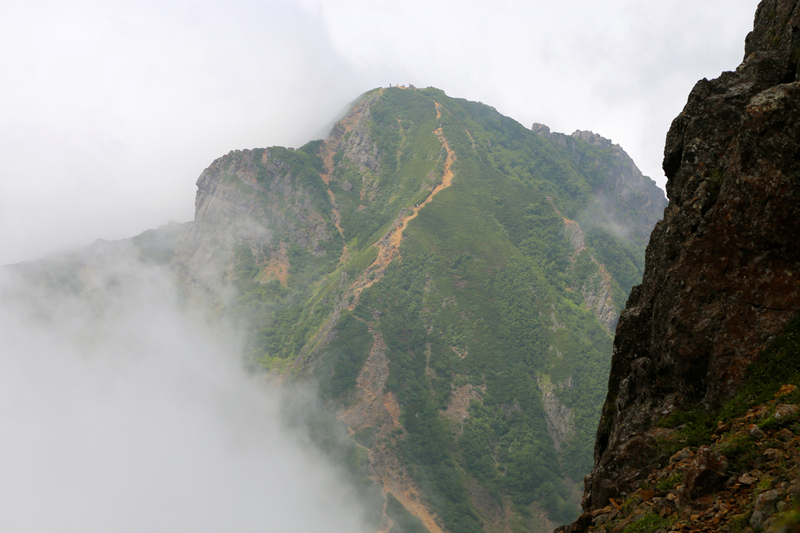 The trail will no climb steeply with several flights of steps to reach a small shoulder on the west ridge of Aka. 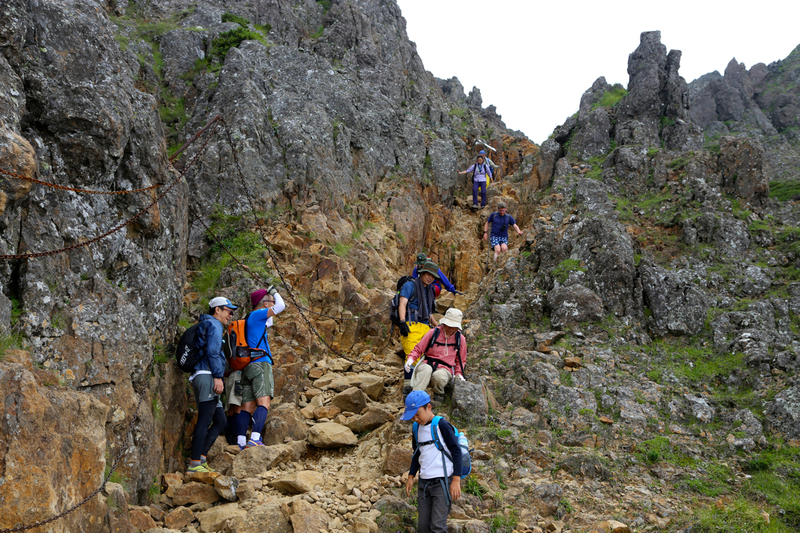 Continue a short stretch with easy scramble to reach the summit. There is a hut located on the very summit ridge slightly further north. 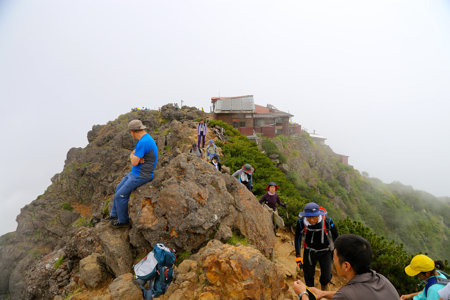 We started hiking from the lower parking at 0730. If we had known that it was perfectly fine to drive on to the upper parking, we most likely would have done so. We arrived at the upper parking at 0800 and after a short stop, continued to the hut up in the basin, arriving there at 0940. 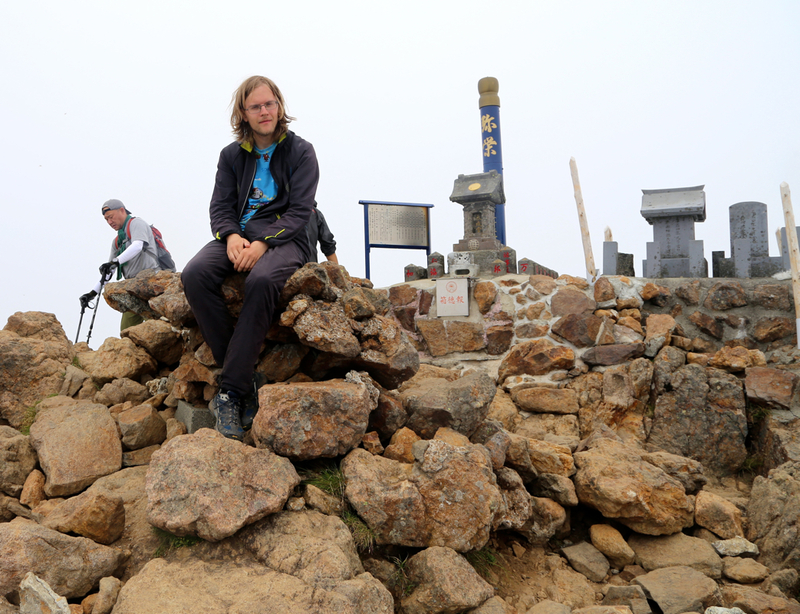 Another brief rest, then proceeding to the summit at 1040. The clouds were drifting around and we had limited views that changed quite rapidly. 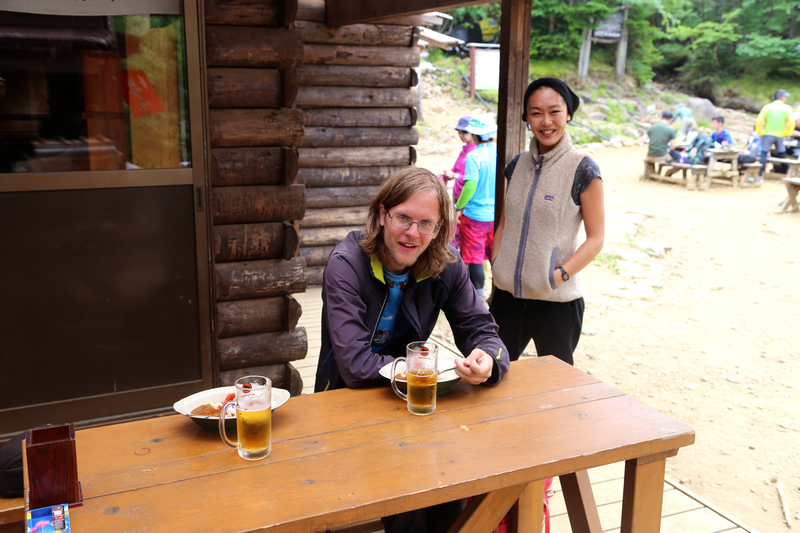 We descended at 1100, arriving at the hut in 45 minutes. Lunch was called for, Indian curry with a large glass of cold beer, what a luxury! We then continued (after 45 minutes) back down to the upper parking in one hour before the final, 30 minute walk along the road to reach the lower parking at 1400. 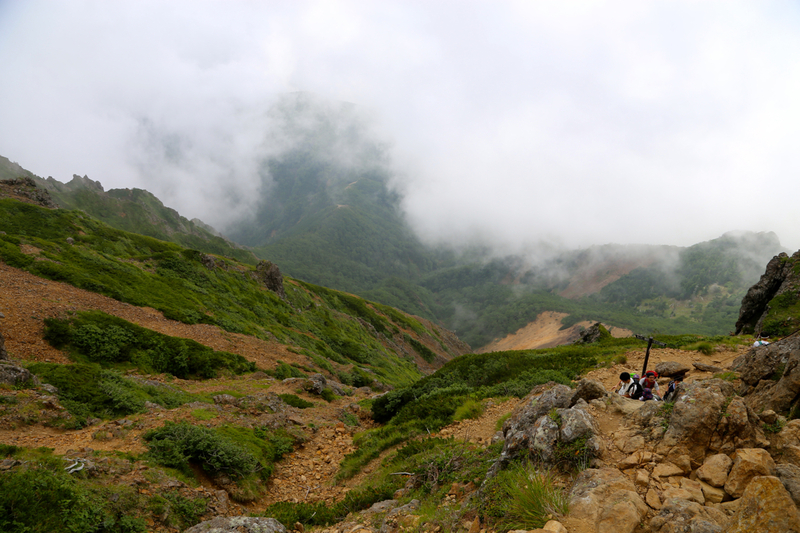 A very fine hike, mostly forest, but with a rocky finish near the top. 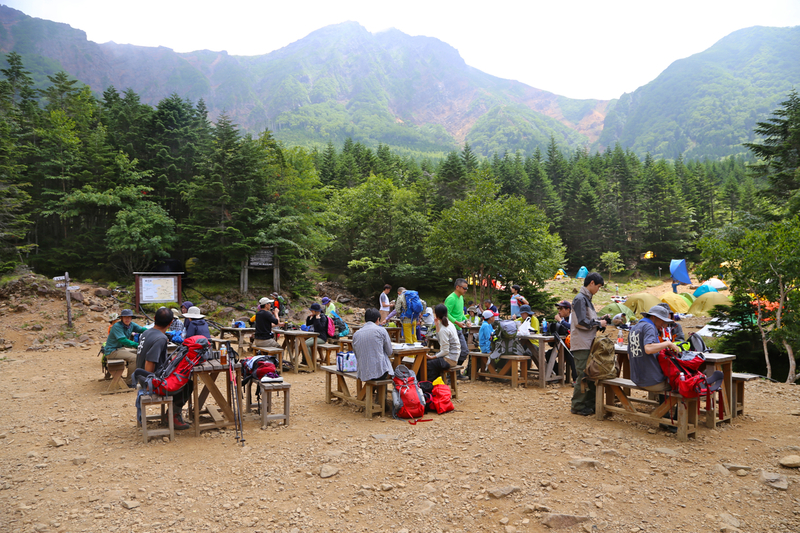 The trip can be made as a fairly short hike, if starting from the upper parking. Our walking time was only 4:15 round trip from there. 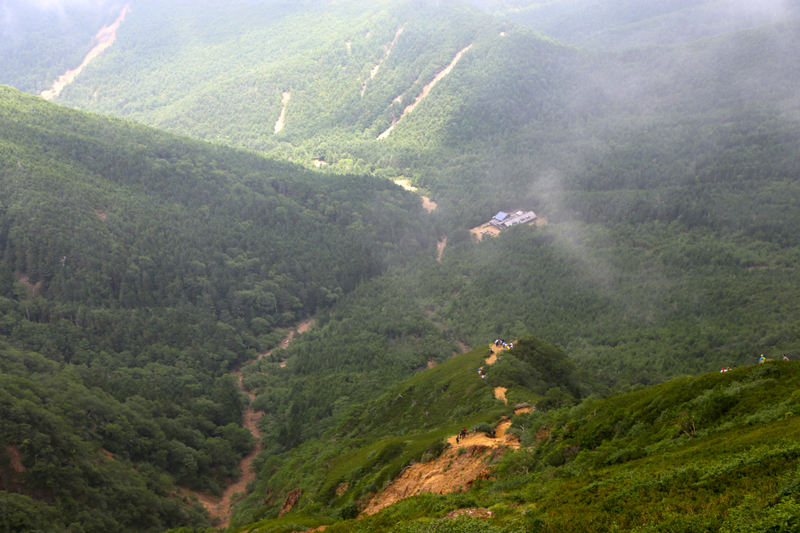 Nakadake, the next (lower) peak.